Swarovski Elements are a perfect blend of technological precision and artistic sensibility, noticing the imagination and bringing light to every object they adorn. The scope, versatility and quality of the Swarovski Elements range provides unlimited design possibilities, and confers brilliant charm on all who fall under the spell of crystal. 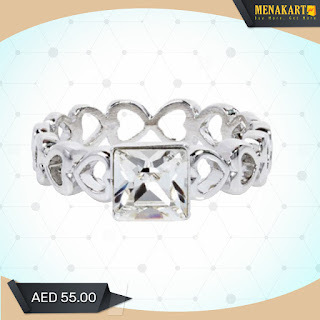 Crafted in gold plated material, this casual ring features embellishment of small crystal stones at the top.